The Everyday Dancer is a new and honest account of the business of dancing from a writer with first hand experience of the profession. Structured around the daily schedule, The Everyday Dancer goes behind the velvet curtain, the gilt and the glamour to uncover the everyday realities of a career in dance. Starting out with the obligatory daily 'class', the book progresses through the repetition of rehearsals, the excitement of creating new work, the nervous tension of the half hour call, the pressures of performance and the anti-climax of curtain down. 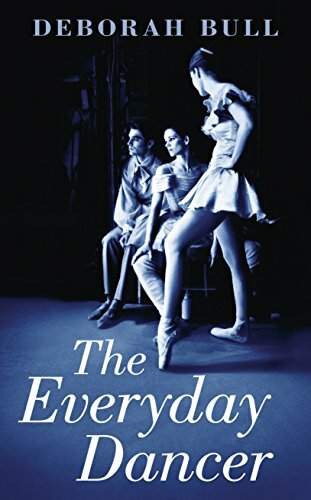 Through this vivid portrait of a dancer's every day, Deborah Bull reveals the arc of a dancer's life: from the seven-year-old's very first ballet class, through training, to company life, up through the ranks from corps de ballet to principal and then, not thirty years after it all began, to retirement and the inevitable sense of loss that comes with saying goodbye to your childhood dreams. I am struck by [Deborah Bull's] remarkable honesty...this is the book that sets it all straight and provides the truest insight into this mysterious world of any book I have ever read.